Reber Dosky, a Kurdish refugee residing in the Netherlands, made My Good Fortune in Auschwitz (2012), a short documentary about Hajo’s survival with his comrade Jos Slagter. In the documentary, Hajo plays one of the melancholic Yiddish tunes he used to test the sound of the violins he had made (watch it above — with English subtitles). Over 175 men and women have been killed in various disputes across Faisalabad district during the first six months of 2018, Express News has learnt. Most cases involved murders in the name of ‘honour’. Besides honour killing, victims were murdered over land and family disputes, communal enmity and everyday brawls. The dead included 66 women and 111 men, statistics from 41 police stations in Faisalabad confirmed. At least 13 women and 12 men were killed in January, 11 women and 15 men in February, eight women and 20 men in March, 11 women and 19 men in April, 17 women and 24 men in May, and six women and 21 men in June. An on-duty bus hostess Mahwish and MPA seat candidate Waqar Ahmed Wahla were among those whose lives were cut short in recent incidents. Most of the women were reportedly killed in the name of ‘honour’ by their brothers, fathers or husbands. The police told Express News that suspects in most of the cases remained at large. However, they claimed that complete efforts were being made to arrest those involved in such incidents. Meanwhile, a special homicide unit had also been set up to probe cases of murder in Faisalabad. In recent years, honour killing cases have surged to an alarming level in Punjab, especially Faisalabad. The crime continues unabated and laws introduced to curb this menace seem ineffective. 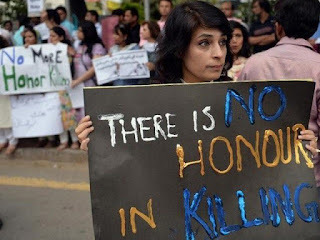 The police records revealed that in 2017, at least 44 people, including 18 women and 26 men, were killed under the garb of so-called ‘honour’ across Faisalabad district. However, in 2016, comparatively fewer cases of such a nature were reported as 31 people were murdered over ‘honour’. Earlier, the Punjab Assembly passed a new bill against honour killing with an objective to provide legal protection to women. As part of the bill, all forms of violence against women have been criminalised while centres would be established across the province to remove hurdles which complicate a woman’s quest for justice. Under the new law, relatives of the victims would only be able to pardon the killer if he is sentenced to capital punishment. However, the culprit would still face a mandatory life sentence of 12-and-a-half years. Tamimi, who rose to global prominence as a child living under military occupation, said she and other Palestinians in her all-female prison unit would sit for hours and learn legal texts. “We managed to transform the jail into a school,” she said. To an outcry from rights groups, the teenager was arrested in December after on camera outside her home. The soldiers had been deployed at one of Nabi Saleh’s weekly protests, where residents have thrown stones at troops who have responded with teargas, arrests and, at times, live ammunition. She later accepted a deal in court to plead guilty to assault, incitement and two counts of obstructing soldiers. Her trial was held behind closed doors. 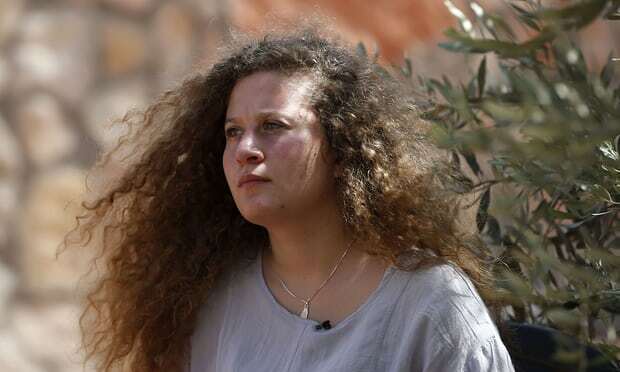 Concerns about her treatment in detention were raised after a video emerged in which a male Israeli interrogator threatened the then 16-year-old, commenting on her body and “eyes of an angel”. A “Snapchat queen” who posted a video of her boyfriend dying in a pool of blood has been found guilty of orchestrating his killing. 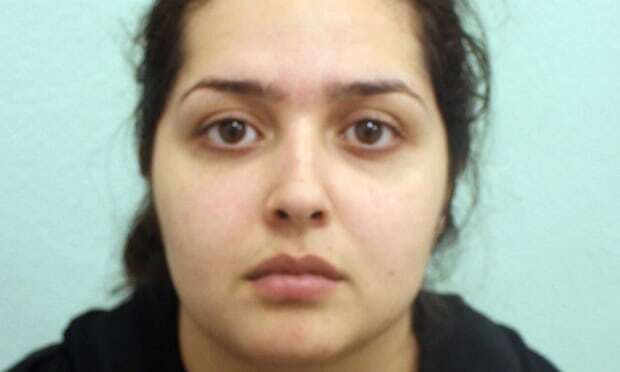 Fatima Khan, 20, plotted with a love rival to kill Afghan asylum seeker Khalid Safi, 18, whom she had been seeing for two years. Safi was repeatedly stabbed in the chest by Raza Khan in North Acton, west London, on the evening of 1 December 2016, jurors were told. The self-confessed Snapchat addict denied murder and alternative counts of manslaughter and conspiracy to cause grievous bodily harm, saying she was ashamed of the video. But a jury at the Old Bailey deliberated for 18 hours and eight minutes to find her guilty of manslaughter by a majority of 10-1 on Tuesday. During the trial, jurors were shown the disturbing footage as well as CCTV images of the fatal confrontation between Safi and 19-year-old Raza Khan. Prosecutor Kate Bex QC said the two men had fought over Fatima Khan a few years earlier, at which time Safi had been injured. And in the runup to the killing, Fatima Khan had been in daily contact with Raza Khan via Snapchat, jurors heard. She became upset when Safi bought her a watch and presented it to her at her home five days before his death, jurors heard.